There is still a number of problems to fix but I really want to show some of this off so I'm going to show it in-progress. 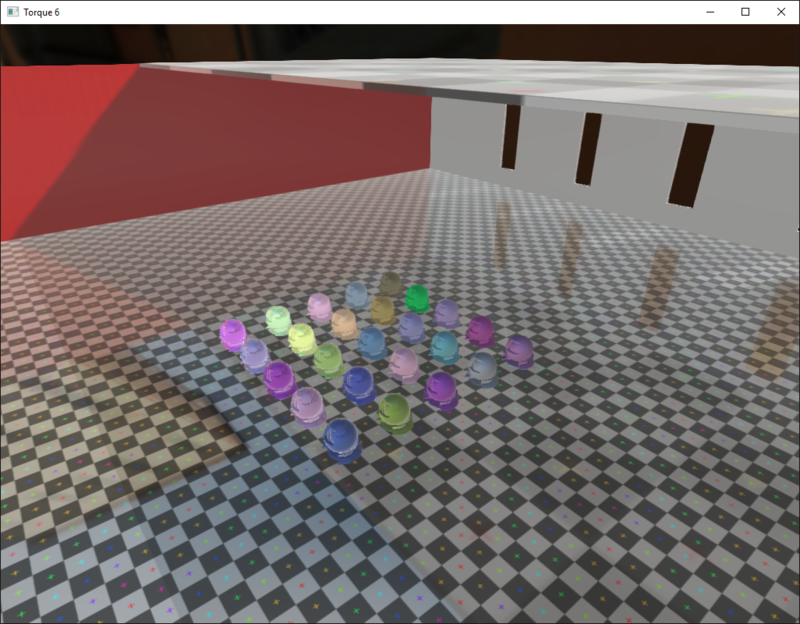 We now have environment probes in addition the skylight. 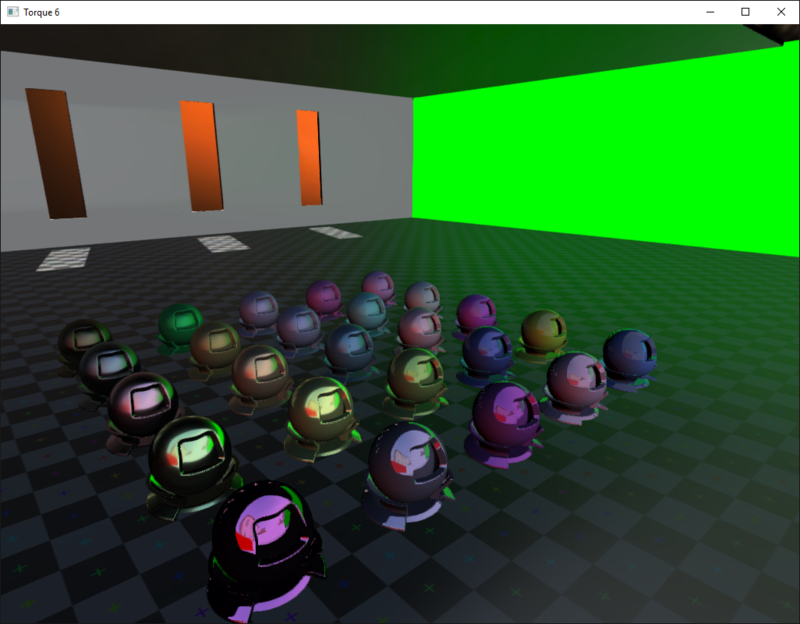 They can be optionally box projected which can give inexpensive reflections to scenes that fit it well. 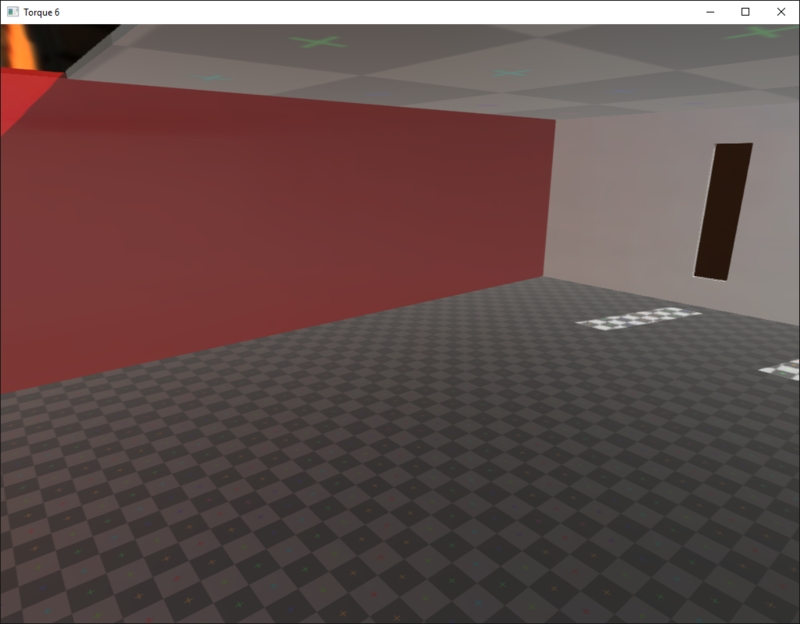 With box projected enabled you fit a volume to the room and the reflections are corrected for it. If the box doesn't fit the scene you can fall back on normal projection which makes the reflections inaccurate but still gives a nice look in a lot of scenes. 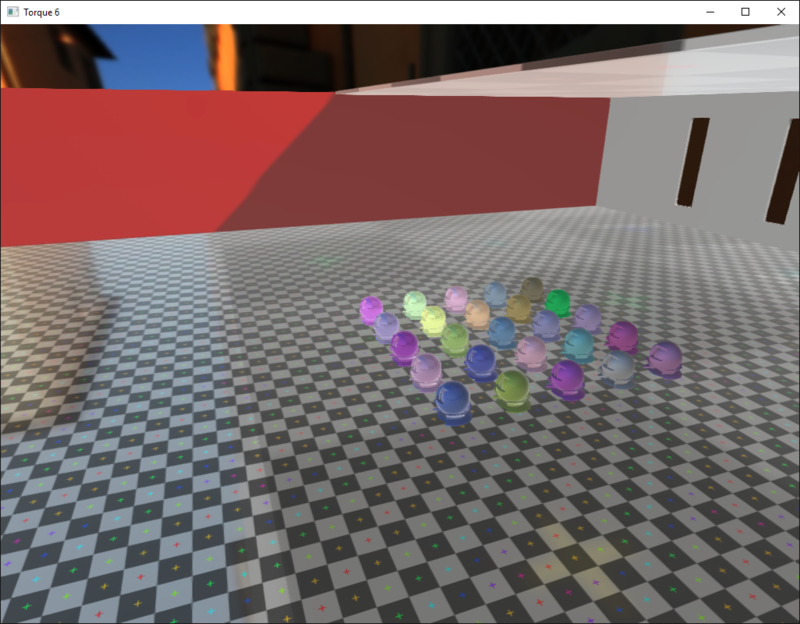 Screen space reflections will be the last piece of the puzzle. Where SSR doesn't cover, environment probes will make up. Where environment probes don't cover the sky light will fill in for. Note: these are not real time and I don't intend them to be. 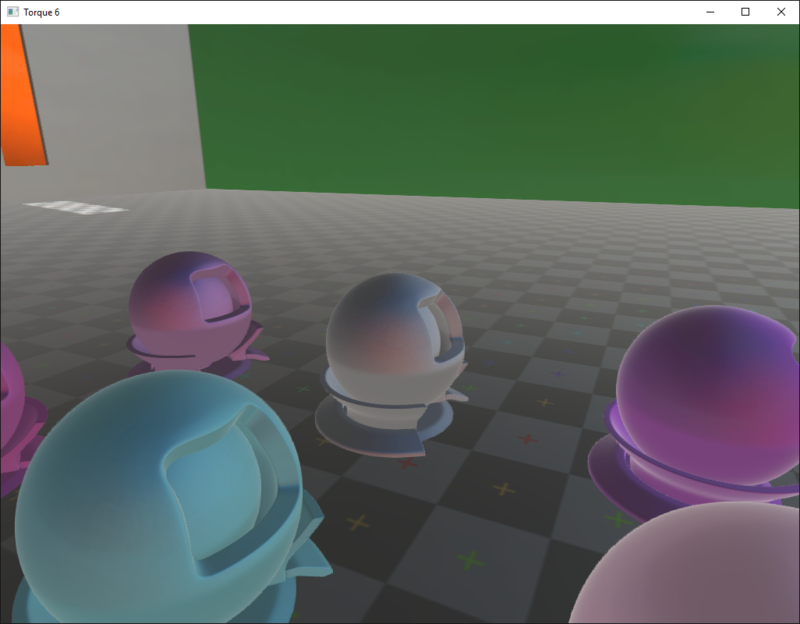 Processing the captured cubemaps to create proper irradiance/radiance cubemaps for PBR is not fast enough to do in real time. They are captured and processed when the engine is ran before the scene starts. They only show static objects. 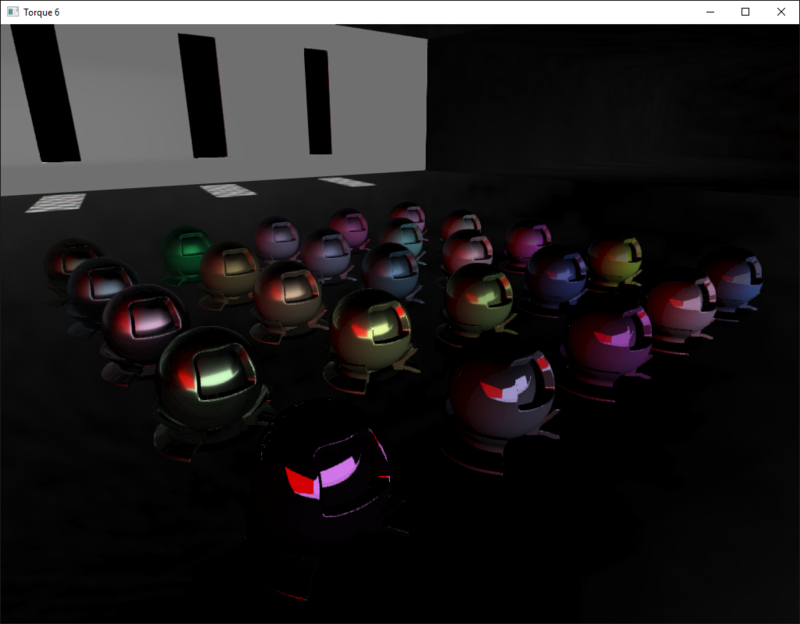 There are still issues I'm working through on the probes so don't judge the lighting too hard at the moment. SkyLight will take a little maneuvering to get right. 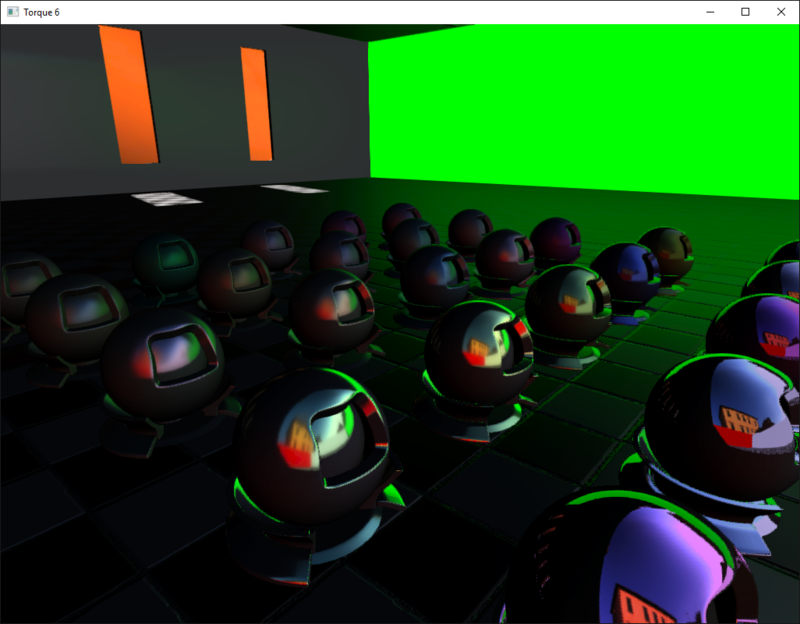 Need to make sure I don't light the scene with the sky multiple times across multiple probes. That's what caused some of those first screenshots to get so washed out with light. Conservation of energy my dear watson.